RMA Tester and eF.A.S.T.™ are design for U.S. and international use. There's no doubt that Balboa builds the toughest products around. They are tested and re-tested like no other in the industry, and once they leave our hands, we want to be sure they provide years of service. We have recently introduced two powerful diagnostic tools for manufacturers to assist in quick and easy detection of equipment issues. These diagnostic tools are designed to help OEM manufacturers improve their bottom line by reducing shipping costs on returns, identifying "no trouble found" diagnoses, and cutting down on labor reimbursements. 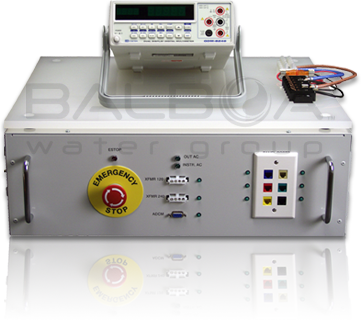 Balboa's RMA Tester allows for remote factory testing in order to zero in on boards suspected of field failure. This diagnostic tool performs a complete functional output and sensor input test for all Balboa circuit boards using a step-by-step program that notifies the user when something is not connected correctly. The Final Analysis Spa Test (F.A.S.T.) 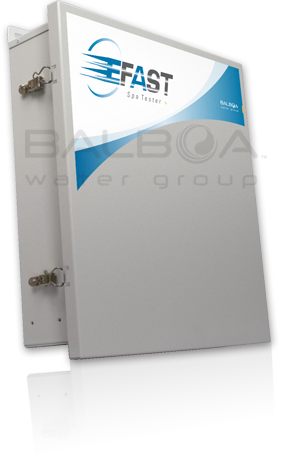 was designed for OEM manufacturers to eliminate manual errors and oversights that can cause problems with a spa before it leaves their dock. This system runs through a predefined series of tests to check the operations of pumps, blowers and other ancillary products on the spa to make sure they were installed correctly and are working properly.